Special Projects Minister Dr. Sarath Amunugama said that it has been estimated to gain a revenue Rs. 1,800 billion from the next budget proposal. “The next budget will be based on the theme of alleviating poverty,” he said. He added that special attention has been drawn on reducing the budget deficit to 5.5 - 5.6 range. He was addressing a media conference yesterday at the SLFP headquarters along with a few other senior politicians of the SLFP. Besides,when preparing the next budget proposal, the government will take several measures to generate more employment opportunities especially in the fields of technology, Information Technology (IT), science etc. Moreover,moves are underway with the new budget proposal to increase state revenue significantly through streamlining revenue collection since it has been revealed that the government does not receive the due revenue yet, due to several shortcomings in the revenue collection mechanism. Therefore, attention will be drawn on rectifying these shortcomings. When the minister was asked whether any new taxes will be imposed in the new budget proposal, he said that measures are underway to increase state revenue generated in the fields of Customs, Inland Revenue and Excise Revenue and therefore there is hardly any room to introduce new taxes. “As a result of streamlining the customs tax collection, the government receives an additional amount of Rs 180 billion annually. This money had taken a devious route to fill the pockets of someone during the previous regime without accruing to the government coffers,” he said. Speaking on VAT he added that in accordance with the amended VAT bill, only businesses which exceed a Rs 50 million of annual turnover will be liable for VAT payments. Earlier the rate was at Rs 12 million annually. Charges on several medical tests have been exempted from VAT including diagnosis charges, X-Ray, scanning and a few other medical service charges, the Minister said. Amunugama noted that UN General Secretary Ban Ki-moon’s in his statement observed that both Sri Lanka and Myanmar have achieved significant progress in the field of democracy and human rights. United People’s Freedom Alliance (UPFA) General Secretary and Fisheries and Aquatic and Resources Development Minister Mahinda Amaraweera said that a series of steps will be taken to strengthen the Sri Lanka Freedom Party (SLFP) in the future. Accordingly a membership drive programme will be carried out countrywide. He said that development activities including infrastructure development are in progress now. “It is natural that development activities are slow when a new government comes to power. A new government takes two to three years to commence the development activities. But this government could commence many development activities including mega scale within a year after obtaining power,” Minister Amaraweera said. He further said that an amount of Rs 14,000 million has been allocated to carry out development activities countrywide. “The Matara – Beliatta railway track will be commissioned by next April,” Minister Amaraweera said. He added that the cost of living has dropped significantly compared to the previous years. The government will never enter into agreements, which harm the country with other countries even though Joint Opposition levels such allegations. 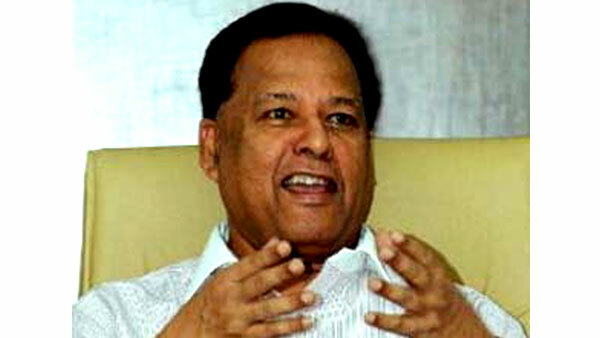 Shantha Bandara said that he doubted that there is a conspiracy to split the SLFP.